The Monash Law Faculty has undertaken a major curriculum review of the Bachelor of Laws degree. Subsequently, we are introducing a new Bachelor of Laws (Honours) degree for students enrolling from 2015. We are introducing the new degree in response to regulatory requirements affecting all law schools and courses and the need for periodic rejuvenation in line with contemporary developments in legal education. From 1 January 2015, all new students will be enrolling in the Bachelor of Laws (Honours) degree. This course is level 8 AQF (Australian Qualifications Framework) compliant. Students in this degree will have to undertake a research unit and a commercial law unit. 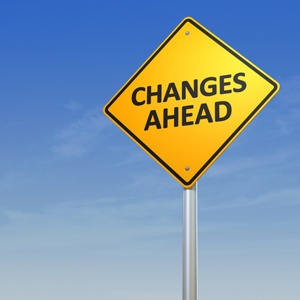 We have prepared a list of questions and answers to address how the changes will impact you. We'd also like to invite you to come and hear about the changes in person. Visit ask.monash to view FAQs or submit an enquiry. Why is Monash changing its' undergraduate course offerings from 2015? What is different about the new LLB (Hons) compared with the current LLB? Can current students still graduate with an Honours course grade? Will I be able to continue my studies in the current curriculum? Will there be any change to my electives? Will I be able to transfer to the new LLB (Hons) degree? Can I do the new LLB (Hons) Torts unit instead of Torts A and Torts B? Will I be able to enrol into the new units introduced as part of the new curriculum? Are there any changes to unit titles or codes? How will I know which core units to enrol in? Will the changes to co-requisites or pre-requisites have an impact on my course progression? If I fail ILR or RAW in 2014, will I have the opportunity to repeat these units? Which units will not be taught in the new LLB (Hon) course? 1. Why is Monash changing its' undergraduate course offerings from 2015? Along with other law schools and faculties, we are changing our courses to align with new regulatory requirements which apply to enrolments from 2015 onwards. Australia has adopted a new qualifications framework (the AQF), under which each course must conform to a qualification category. From 2015, all new undergraduate enrolments will be into the new LLB (Honours) degree. The LLB (Hons) is a bachelor honours degree, an AQF level 8 qualification. Through assessment throughout the course, students will demonstrate their progressive attainment of AQF level 8 knowledge, skills and abilities specified as learning outcomes in the ALTC, Bachelor of Laws Academic Standards Statement (2010). We have also taken this opportunity to review our curriculum and our approach to learning, teaching and assessment, to align with contemporary developments in legal education. 2. What is different about the new LLB (Hons) compared with the current LLB? a) Single LLB (Hons) degree students will complete two extra units. This means the single LLB (Hons) course will be 204 credit points, 12 points more than the current LLB. There will be no increase to the number of units or credit points required for the completion of the law component of a double degree. b) The two compulsory first year units, LAW1101 Introduction to legal reasoning and LAW1104 Research and writing will be replaced by the new units Foundations of law, and Public law and statutory interpretation. c) Units currently categorised as quasi-compulsory such as Corporations law, Equity and Trusts will become compulsory units in the LLB (Hons) course. d) Torts A and Torts B will be condensed into a single Torts unit in the LLB (Hons) course. e) All LLB (Hons) students will be required to complete a compulsory commercial law elective and a 6 credit point research elective, each selected from a prescribed list of units. f) Criminal law and Procedure A and Criminal law B will be revised. Sexual offences content will be moved to the new Criminal law 1 unit while the criminal procedure content will be moved to the new Criminal law and procedure 2 unit, and taught at a later stage of the course as a co-requisite with Evidence. g) The new LLB (Hons) course will have a more structured unit sequence, to enable students to develop the course learning outcomes progressively. To ensure that students gain foundational and consolidating levels of skills and knowledge in the early years, core units will be studied in the sequence set out in the course map. Please visit the Course Maps web page for a copy of the 2015 course map for all new LLB (Hons) courses. 3. Can current students still graduate with an Honours course grade? Yes, on completion of your LLB you will still be eligible to be awarded an Honours course grade in classes H1, HIIA, HIIB or HIII, based on your Honours Weighted Average mark for Monash law units. LLB students do not need to complete LAW4327 Honours Thesis to be awarded an Honours course grade. However, for students completing it, their marks for this unit will continue to attract an additional 20% weighting (across 12 credit points) in the calculation of an Honours Weighted Average mark for the pre 2015 students only, students enrolled from 2015 this unit DOES NOT carry the 20% bonus. Students will also be able to ascertain where they were placed in the Order of Merit for their annual cohort, ranked by their Honours Weighted Average mark for Monash law units. This information is available in March, the year after the student has completed their course. As of 2016 there will be some adjustments to the calculation of the Honours Course Grade. This will allow greater transparency and comparability. See more information on the Changes to calculation of LLB course grades. 4. Will I be able to continue my studies in the current curriculum? Yes, you will continue according to your current course map within the maximum course period given to you when you first enrolled. 5. Will there be any change to my electives? You will continue to have a significant number of electives to choose from, including all the electives offered to LLB (Hons) students, except the new Honours Research Unit (LAW4801). You will also have a choice about whether to take all the quasi-compulsories: Equity and Trusts, Corporations, Lawyers ethics and society, Civil procedure and Evidence. We strongly recommend that you take all these units. This will enable you to apply for admission to practice as an Australian lawyer. You are not required to take a research unit, but we recommend that you take LAW4327 Honours thesis or a 6 credit point research unit if you want to go on to postgraduate studies. 6. Will I be able to transfer to the new LLB (Hons) degree? No. You will not be able to transfer from the LLB to the LLB (Hons). This is a different qualification. Students who wish to transfer from one LLB double degree to another (e.g. from Science/Law to Biomedical Science/Law) will be able to do so if they meet the entry requirements for internal transfer. Please refer to Pathways for details of the entry requirements. 7. Can I do the new LLB (Hons) Torts unit instead of Torts A and Torts B? No. Current students must complete Torts A and Torts B, as these are the units approved by the Council of Legal Education for the LLB course. 8. Will I be able to enrol into the new units introduced as part of the new curriculum? These are only available to LLB (Hons) students. Other new and revised units will be available to all students. Check information in the timetable and handbook to ensure you are eligible to enrol. 9. Are there any changes to unit titles or codes? LAW5104 Civil procedure will change to LAW4303 Litigation and dispute resolution. LAW5125 Lawyers, ethics and society will change to LAW4309 Lawyers' ethics in practice. Some other units will progressively change their unit codes. 10. How will I know which core units to enrol in? It is your responsibility to ensure you are enrolled in the correct units. Check the information in the timetable and the handbook. Current Handbook for unit information. Contact the Faculty's Student Services office if you are unsure about which units to enrol in. 11. Will the changes to co-requisites or pre-requisites have an impact on my course progression? No, these changes will not impact your course progression. The Handbook will clearly list the pre-requisite and/or co-requisite information for the students enrolled before and after the changes. 12. If I fail ILR or RAW in 2014, will I have the opportunity to repeat these units? Yes. These two units will be offered again in 2015 to students who need to repeat them. 13. Which units will not be taught in the new LLB(Hon) course? LAW5125 Lawyers, ethics and society: it will be replaced by "Lawyers' ethics in practice" from 2017. From 2017, this unit will be updated and be offered to both LLB and LLB (Hons) students. From 2015, unit code will be changed to LAW4309. Enrol into LAW4309 instead. LAW5104 Civil procedure will be replaced by "Litigation and dispute resolution" from 2017. From 2015: unit code will be changed to LAW4303. Enrol into LAW4303 instead.